This story of a home exchange to Monaco was shared with us by Dennis and Denise. I contacted them through the HomeExchange website. Firstly the location & their preferred destination was to visit our area & all the photos & details provided on their profile. This ticked all the boxes for our dream exchange. This was a reciprocal exchange however they had arranged a relative to meet us at Monaco railway station with a warm welcome & escorted us to the home. She spent a considerable amount of time advising us how the apartment functioned & also recommending where to go - what to do & see. This was a great introduction to Monaco. There was a vehicle included in this exchange therefore allowing us to travel extensively throughout the French Riviera & the Northern part of Italy, enabling us to enjoy all these areas had to offer. Our favourite memory from this exchange was the great communication & our home away-from-home experience. Another memory was living like a local. 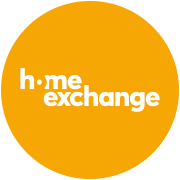 Home exchange has opened a whole new traveling chapter in our lives where we can travel almost anywhere in the world, live like a local, a home-away-from-home at an affordable price. Not only have we had many wonderful exchanges but we have secured life long friendships & we look forward to many more.